A few weeks ago I used this balloon as a prop for some pictures of my three-year-old. And the balloon kind of went with my outfit so my husband snapped a few of me too. 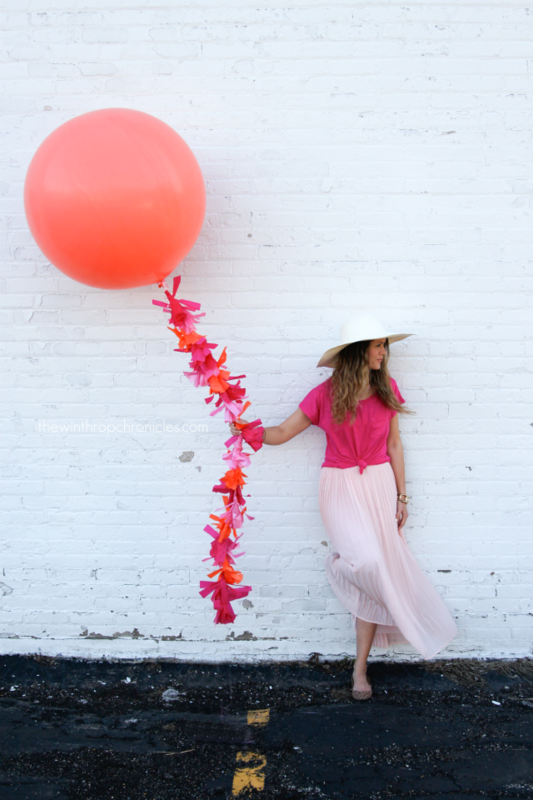 I love this pleated pink chiffon skirt and would wear it everyday if I could. And the oversized tee is so comfortable. The fabric is super soft. And of course I have added to my sunhat collection with this cream one from Our World Boutique.